Gene Kelly, Lionel Richie, Marty Wilde, Costa Cordalis, Stephen Simmons and more. 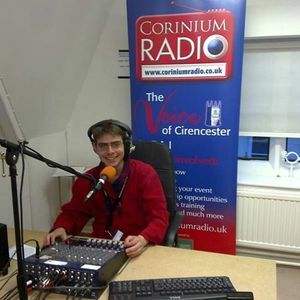 Corinium Radio returns to the airwaves for another three day broadcast. The Breakfast Show this time round will be presented by Fred Hart, and he’ll be starting each morning with a mix of music and chat. This programme was broadcast on Friday 5. July 2013, 07:00 to 09:00.